Trouw Nutrition – A Nutreco company, is the global leader in innovative feed specialties, premixes and nutritional services in the animal nutrition industry. With total of 11 research units and more than 50 years of dedicated R&D knowledge and experience, the company has large relevant database to support the animal nutrition industry. Additionally, it is also collaborated with more than 60 Universities for research across the globe. With its well-established team of subject matter specialists in India, the company only plans to grow further. In an e-interview with Think Grain Think Feed, the core team of Trouw Nutrition share its thoughts about the industry challenges, their expertise, important tips for feed millers and farmers, and much more. Below are the excerpts from the interview. Dr. Saurabh, India, having one of largest livestock populations, has its own set of constraints. Your comment. As far as poultry production is concerned, the major challenge being faced is high cost of production. If the industry focuses on more effective and efficient solutions, the profitability and productivity will certainly go up. In dairy production, despite being the largest producers of milk, we still face the challenge of reaching economies of scale primarily because of low production. Inefficiencies in production system lead to a hike in price of animal protein which ultimately leads to a lower consumption. Having said that, we believe that there is huge opportunity to increase the basket size of customer. Combining innovation and their practical application is a solution to this problem. Dr. Sabiha, please tell us the kind of role you play in Trouw Nutrition. What are the major changes that you have observed during your 12-year career? I basically, provide nutritional technical services/solutions to customers as per their need and requirement. This in turn helps the customers to trouble shoot their challenges in a more effective manner. There have been many changes but the major ones include use of technology that has improved the efficiency & profitability of the industry, customer knowledge which has gone up largely and with the next generation of customers taking in-charge of their organizations are technologically advanced and so is the response to the customers. It also includes the use of automation, NIR technology for quicker nutrient profile of raw materials and even the breed that has undergone genetic improvements and hence the bird performances drastically going up. Dr. Swamy, you have vast experience in Indian as well as global animal industry. Please provide your thoughts on latest trends in Asian feed and feed additive industry. 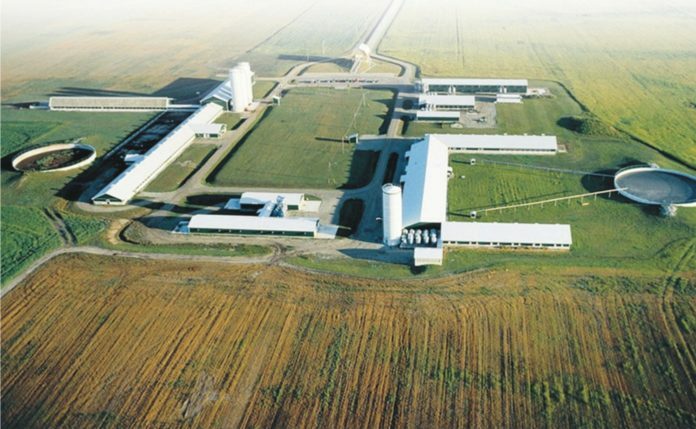 World’s feed production is now estimated to be around 1.07 billion metric tons. In 2017, India’s feed production has increased by 9%. In that both dairy and layer feed sectors increased by 5% while broiler feed production grew by 12%. While aqua feed production decreased slightly in Asia-Pacific Region, in India it increased by 8%. Today India produces shrimp, prawns, carp and catfish for both domestic consumption and export. Asia Pacific is expected to be the fastest growing feed additive market because of rising population combined with the increase in per-capita meat consumption with respect to growth in middle-class spending capacity, especially in South Korea, China, and India. The outbreak of disease coupled with rising health concern pressurizes regional governments to form regulation in order to standardize animal products which, in turn, create ample opportunities for future market growth. In addition to this, factors like the modernization of retail trends, an increase in the number of fast food chains and favorable demographics attract various players across the globe while augmenting the market growth. Indian feed additive market is expected to grow at the fastest rate followed by China owing to high population base coupled with rising meat consumption. Asia Pacific feed additives market is projected to reach US$ 9.263 billion in 2022, increasing from US$ 6.528 billion in 2016, growing at a CAGR of 6.01% during this period. In 2017, feed additive business for swine, dairy and broilers increased by 9%, 2%, and 1% respectively while the same decreased by 6% in beef and 3% in layers. Subsidies on meat exports in countries like India are driving manufacturers to increase meat production, thereby fueling the growth of the feed additives market. The amino acid segment accounts for the largest share of the market, whereas the antioxidant and acidifier segments are projected to witness the fastest growth. Other feed additives include enzymes, vitamins, minerals, probiotics etc. In today’s world, it is hard to imagine poultry and livestock feeds without the addition of feed additives. Increased concern over the use of antibiotic growth promoters in animal production has pushed the industry to come up with innovative alternate feed additives. Dr. Suyash, can you please throw some light on the opportunities and challenges in South Asian dairy sector? Dairying practices by and large in South Asia are somewhat similar. Farmer’s low animal holding per dairy farm and fragmented dairying sector is a common feature in South Asia. If we compare, there is a difference between Indian dairy sector and rest of South Asian countries specially Bangladesh and Sri Lanka about their off late serious efforts to develop dairy industry and looking at the possibility to give pace and incentives to local dairy industry to flourish. Few private investors-initiated imports of the live dairy heifers and cows from Oceania specially Australia to initiate modern infrastructure dairy farm with modern technology. In Bangladesh though, dairy industry is still in the process of learning ways of modern dairying but certain private investments are trying to put themselves on faster pace. Similarly, NLDB (National Livestock Development Board), Sri Lanka started high tech dairy farming by importing live dairy animals from Australia and creating model dairy farming infrastructure. Other than these countries, India and Pakistan are on the same page where still major contribution of milk is through buffaloes. Both the countries identified and initiated efforts in late 60’s and got benefitted in terms of consistent growth in contribution of Dairy sector in livestock GDP which again is a major contributor to national agriculture GDP. 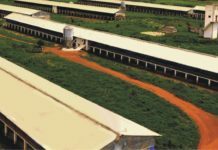 Opportunities for both Sri Lanka and Bangladesh are to grow their dairy sector fast as both the countries are heavily dependent on import of powder milk. In order to get self-sufficiency, there could be need of building knowledge base for dairy farming as well milk processing. Dairying in rest of South Asian Countries (SAARC) like Nepal, Bhutan, Maldives and Afghanistan are in early stage of development but at the same time have huge scope of its development. Challenges in all South Asian countries for dairying are low genetics of dairy animals, low per animal productivity viz-a-viz to global per animal yield, highly fragmented dairy farms, shortage of green fodder and lack of modern know how of dairying. Indian dairy sector, if wants to contribute to the other SAARC markets, it needs to work further on quality milk production and similar efforts at milk processing as it needs to compete with other developed counties as milk powder and other processed milk products are being imported by SAARC counties from Europe, Australia or New Zealand. Dr. Sabiha, feed economics plays a vital role in poultry & livestock industry, how does it change in last 5 years and what are your predictions for near future? Feed economics has been highly volatile – sometimes going down and sometimes rocketing, nevertheless, in general has gone up compared to the last 5 years. The feed economics is likely to go down in the near future with the ample supply of major raw materials and with more imports of raw materials with comparatively better quality and lower prices. Dr. Suyash, having specialization in Livestock Feed Mill management, would you please share some tips on livestock feed mill management to achieve better efficiency and profitability? Stringent quality check on inward material, it is the core and soul of the feed to be produced. Critical ingredients nutrient profile can lead to feed mill profitability. Proper warehousing of ingredients is another critical area in feed mill, which determines the quality of the feed produced by the feed mills. Any spill over of the ingredients over each other will certainly influence end product. Proper understanding of the operators about the machines they have been assigned to manage. Feed mill’s efficient life always remain in the hands of its operators, who can increase of reduce expected performing life of the machine. A detailed dynamic overview of machine efficiencies must be on the dash board of the Feed Mill manager. Like Ingredients can vary the formula if nutrients are not being estimated, likewise machine can also alter the formula if proper scheduled maintenance is not achieved to draw maximum efficiencies out of it. 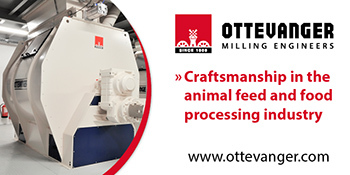 Quality control of Feed Produced and its correlation with its performance in the market should be the ultimate result of the feed mill efficiency. Dr. Haladi, you have been an expert on mycotoxin management, please share present scenario of Indian feed industry. What tips you would like to share for mycotoxin management? India is self-sufficient on the raw materials required for producing livestock and poultry feed. This has an advantage when it comes to mycotoxin management as we don’t have to worry about different types of mycotoxins coming through importing raw materials. The kind of mycotoxins found in Indian raw materials differs from those imported from countries like USA, Argentina, and Ukraine. Mycotoxin management is an integrated approach. It should start from the field where crops are grown and continue till the farms where feed was fed to animals. 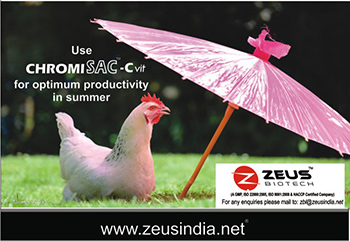 In India, grains and protein sources are procured from many small farmers and hence difficult to control mycotoxin formation in the field. However, preventive measures can be taken during storage of raw materials and feeds and transportation. Spraying liquid organic acids onto raw materials before storage is one of the proven method of limiting mold growth and mycotoxin contamination. This is not practiced heavily in India and the use of this technique can prevent the spoilage of raw materials to a greater extent. The powder form of organic acids can also be added to the feed to prevent mold growth. The dose of organic acids depends on the length of storage, moisture content of raw materials and humidity in the atmosphere. Once mycotoxins are produced in raw materials or feed, they can’t be killed by heat treatment or the use of organic acids. However, their entry into blood circulation can be reduced by the use of proven mycotoxin binders. Good quality clay binders are effective for binding aflatoxins while other mycotoxins may have to be managed by the combination of technologies such as enhancement of gut health and immunity. HACCP-like approach needs to be applied for effective mycotoxin management as some of the mycotoxins like aflatoxins can end up in animal products such as milk. 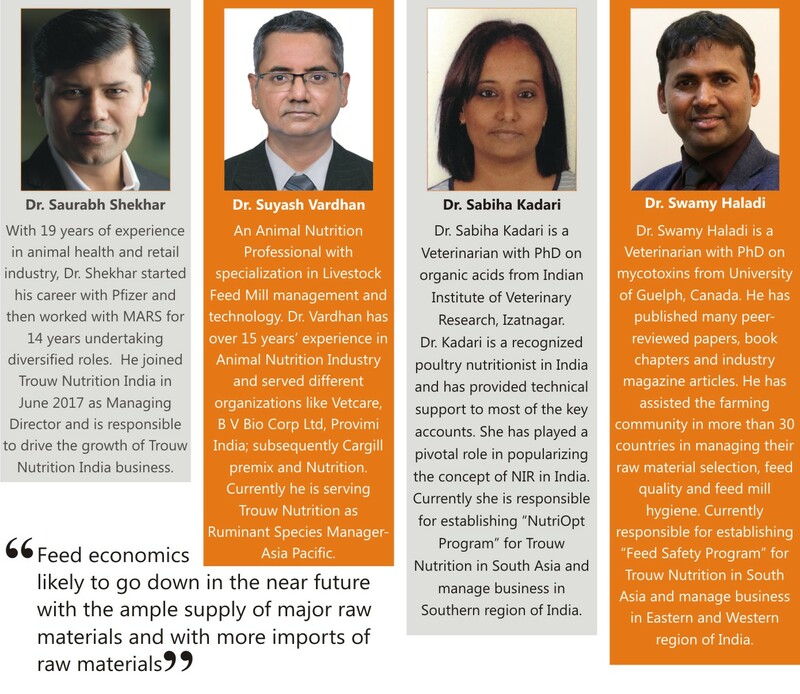 Dr Saurabh, could you please tell us what are strengths of Trouw Nutrition that makes it stand ahead of its competition in the market? The strength of Trouw Nutrition is that we believe in solution-based approach, combining innovation and practical application. 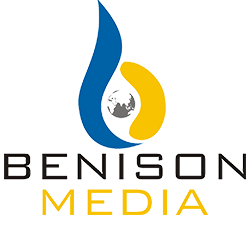 We believe in “customer-first” and understand that the need of the hour is a complete package consisting of products, know-how and services. Our understanding of this fact results in a consultative approach and not transactive which is also appreciated by the customers. Further, we strongly believe in our values of being innovative, capable, caring and collaborative. 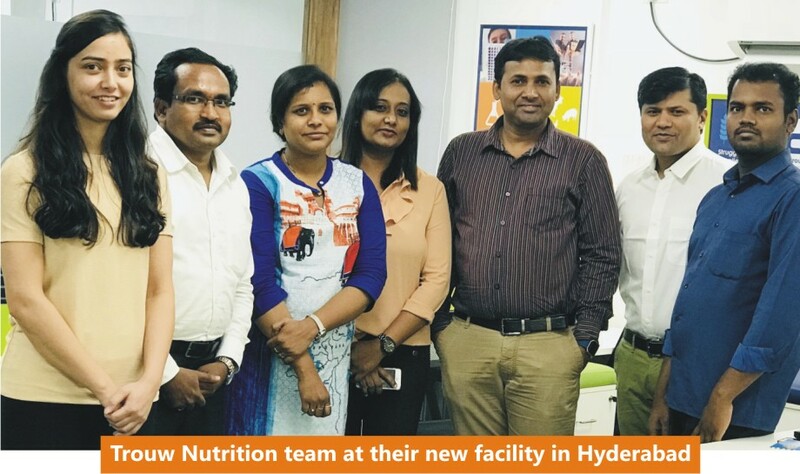 Can you also share a brief of Trouw Nutrition product portfolio in India? 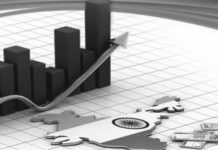 How important is India on Nutreco’s radar? We believe that research and innovation are the key to sustainable development. All our products and services are aligned with this concept. Realizing the need of animal nutrition industry, the key focus areas for innovation are Life start, Health & welfare, and Precision Nutrition. Further in line with the current need of industry we have developed programs which combine products, services and technical know-how to support customers overcome the challenges of production. The following programs have been optimised for our customers: Antimicrobial Resistance Programme, Feed Safety Programme, Mycotoxin Risk Management Programme and Trace Mineral Programme. India is a key priority market and is a focus for Nutreco and Trouw. This is also reflected in the recent investment by Nutreco in a company called Eruvaka. 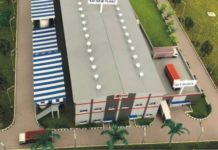 Eruvaka is an India-based Internet of Things (IoT) that develops connected devices and mobile-based decision tools to help aquaculture farmers reduce risk and increase productivity.